What was the goal of the task? 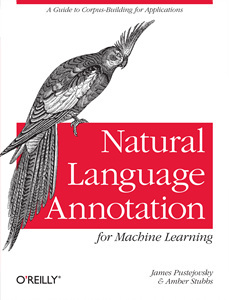 Which specific aspect of natural language did they try to capture? What were the hurdles and blocks while capturing such phenomena? How successful were their work, and how can we tell it’s successful or not? What kinds of application can use such annotation? Divide by task: each group member gets a number of the tasks outlined in the grade section. Please note that everyone in the group will be doing annotation, so that should not factor into the task assignment. Once you are all satisfied with the contract, everyone in the group must sign it and it must be turned in to TA. The contract will be useful later in the peer evaluation section. Changes to the contract can be made throughout the semester, but must be submitted (signed) to TA. When writing up the annotation goal, your team should be able to express what you hope to achieve with the annotation, and how far-reaching the task will be. For example, if you want to do genre annotation of newspaper articles, how specific will your categories be? Will you do broad categories, such as world news, local news, sports, or will you be more specific: sports: baseball, world news: Europe? deliverables: DTD and descriptions write-up uploaded to github (tagged as 1.0) by the beginning of the class period. The full schema document is what describes the tags and attributes that will be used for the annotation task and what they are capturing. This description should also include the form of a DTD-like document that can be input into the annotation environment so the annotators will be able to label the texts appropriately. If a group needs evaluation and review on their draft, bring it the draft at the final presentation (it’s okay even just for outlines). E-mail addresses can be found on the course website.